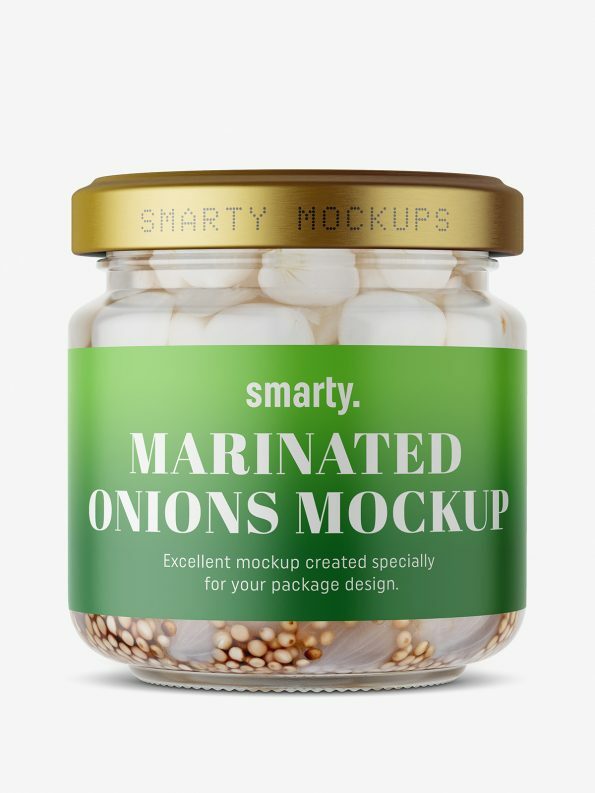 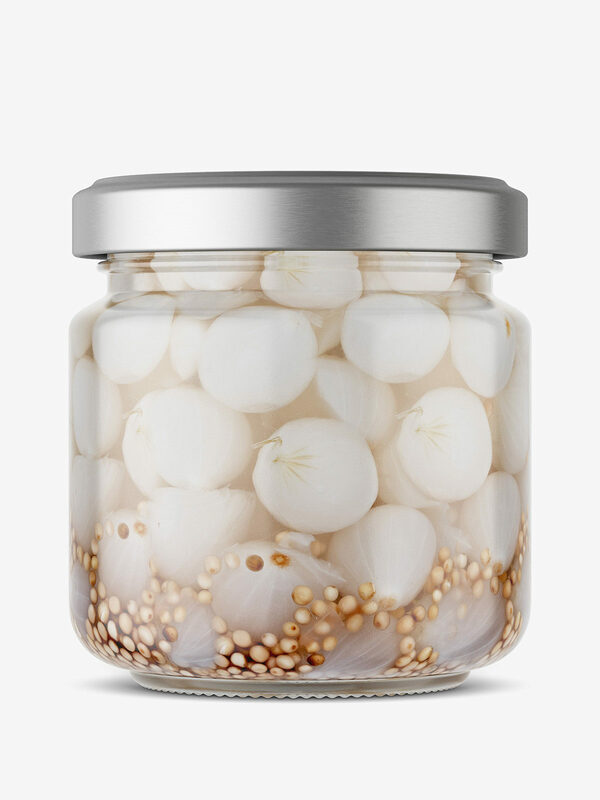 Marinated onions jar mockup. You can change label project and shape, as well as project of the metallic cap. Each layer has it’s own highlight layer. 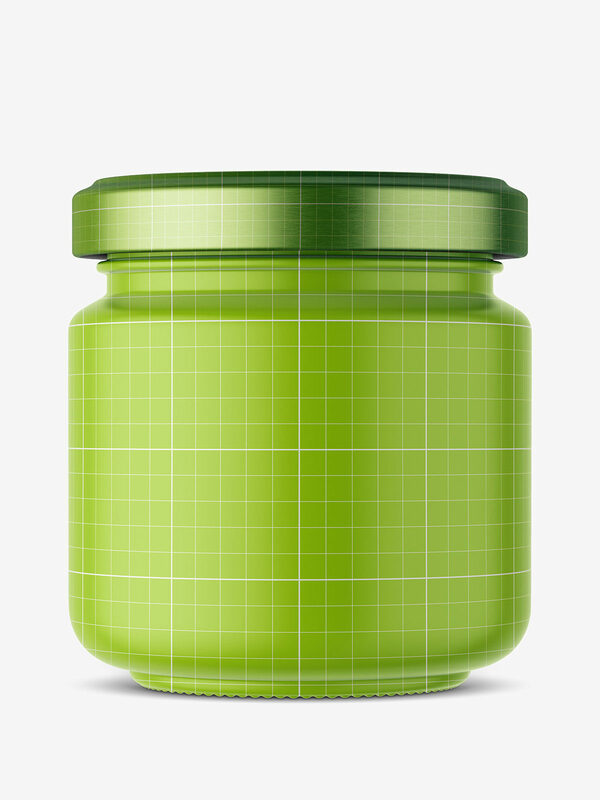 Changing texture of jar content is not possible – altough jar has it’s own highlight layer, so if you are skilled enough you can try to replace it.